The 14th batch of IIM Ahmedabad PGPX with 23% female students, was inaugurated on April 11, 2019 by the Director, Prof. Errol D’Souza and welcomed by Prof. Arindam Banerjee, Chairperson, PGPX and Prof. Shailesh Gandhi, Dean - Programmes at RJM Auditorium, Indian Institute of Management Ahmedabad (IIMA). IIM Ahmedabad PGPX is the residential full time one year MBA offered to the candidates with a minimum of 4 years of work experience. 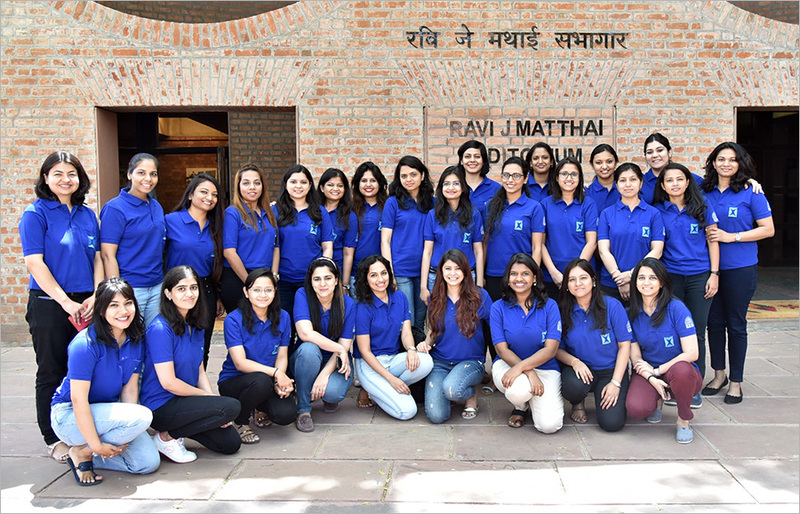 A total of 140 students, with 32 female participants, have been admitted to the IIM Ahmedabad PGPX 2019-20 batch. The average age of the IIM Ahmedabad One Year MBA 2019-20 batch is 32 Years. In terms of work experience, the IIMA PGPX 2019-20 batch average is 8.9 Years. IIMA PGPX Admission Process is through GMAT and GRE Score. The average GMAT score is 702 while average GRE score is 320 for the students admitted to One Year MBA at IIM Ahmedabad. Till 2016-17, the IIMA PGPX intake was 90 students. In 2017-18, the IIM Ahmedabad PGPX programme added one more section to enhance learning experience of participants. ​With the overwhelming response, IIMA PGPX 2019-20 batch has continued the extra section and this year 140 students have been admitted to the one Year MBA at IIM Ahmedabad. IIM Ahmedabad one year MBA fees is Rs.25 lakhs. The personal expenses are not included in it. The IIMA PGPX is an intensive one-year MBA program programme designed to fulfill the unmet need of experienced managers, enhance their skills and capabilities essential for responsible positions at managerial levels. The objective of IIMA PGPX is to produce future leaders who can handle the dynamic corporate environment. IIMA PGPX Admission Process requires a Bachelor's Degree (Minimum 15 years of study) and a minimum Age of 25 years. The applicant must have a valid GMAT/GRE score of 700+/300+. A minimum of 4 years of full time work experience is required to apply for IIM Ahmedabad one year MBA. To apply for IIMA PGPX 2020 the application last date is November 2019.